Your home is our business and we LOVE what we do ! 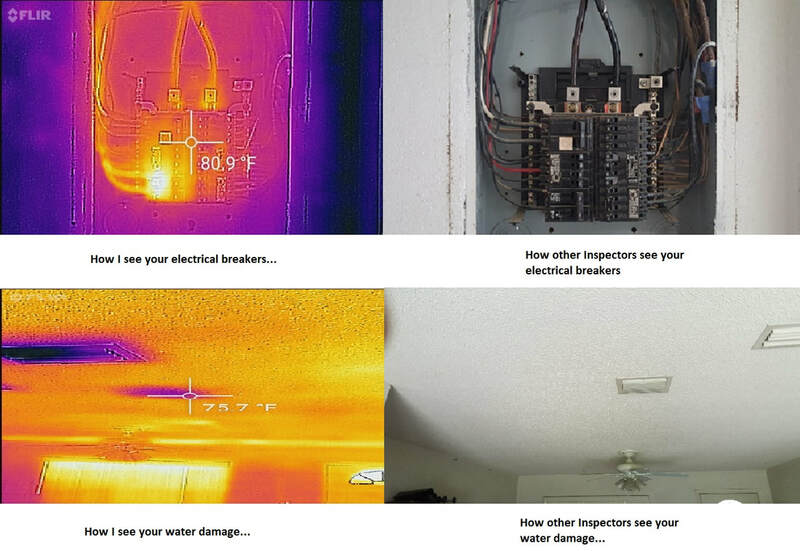 Free Thermal Imaging with every Home Inspection! We are not your average inspectors, our inspections can take 3-4 hours and contain 300-500 pictures, video and thermal. We perform home inspections that will educate you about the systems of your home. 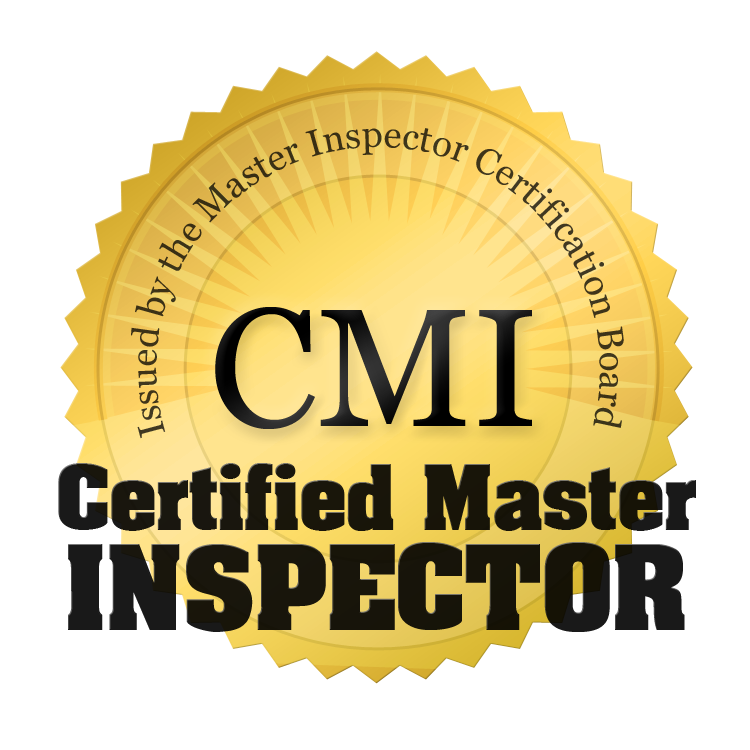 ​ I am a Nationally Certified Master Home Inspector. With my completion and continuing education from the top two national home inspection schools (AHIT and InterNACHI). I will walk you through both the good and defects of the entire home. It is important to be able to trust your home inspector to give an unbiased, professional and thorough home inspection. I will help you understand the current state of your home and advise you on what's best for you and your home, now and in the future. This is my promise to you. Thank you for your trust in hiring Orange Blossom Home Inspection, LLC. "For goodness sakes these guys are amazing. They did the inspection on a potential property I was looking at and it helped empower me to make the best decision." We provide innovative, quality residential inspection services for the greater Orlando area, including Orange, Seminole, Lake, Osceola and Volusia counties. ​We offer a variety of services, including 4-point Inspections, Wind Mitigation and Wood Destroying Organism Protect your family from hurricanes, Possibly lower your home insurance cost and therefore the monthly mortgage payment. We also provide with every inspection Building Science and Infrared Thermal Imaging, Drone Video and Pictures, Indoor Air Quality with ​a Home Energy Report. Please check our "About Us" page for a list of our certifications. ​​A home inspection is not a prediction of future conditions. We can not reveal every concern that exists (or ever could exist). We will significantly reduce your anxiety by arming you with the knowledge you need to make an informed home-buying decision. Pricing for our inspection services and sample reports can be found here. I have 2 home inspection degrees and over 60 additional certifications !!! ​​Free Drone Footage with every Home Inspection!! Congratulations on finding your dream home! Now you need a home inspection to make sure everything you love about the place is the way it’s supposed to be. Choosing the right home inspector can be difficult. Unlike most professionals you hire, you probably will not meet your inspector until your appointment. Be aware that different inspectors can have varying qualifications, equipment, experience, reporting methods, and pricing. One thing that’s certain is that a home inspection requires a lot of work. Ultimately, a thorough inspection depends heavily on the individual inspector’s effort. We understand the importance of buying your home without surprises after the closing. If you honor us by permitting us to inspect your new home, we guarantee our very best effort. This is our promise to you. "Le agradezco al señor John por su pasión a lo que el hace. Esta es la segunda vez que lo contrato porque no solamente me da un reporte detallado pero también usa la technologia que vez mas allá detrás de paredes para detectar liqueos !!" Many of the top brokers and real estate agents in Florida choose Orange Blossom Home Inspection LLC. because of our technologically innovative, quality residential inspection services. We have a dedication to excellence. Our motto, “Quality home inspections for Floridians” reflects our pursuit of high-quality services. Customer Service: Our #1 goal is to provide you with excellent care and to do everything within our power to help make this process go smooth for you. Experience: We hire only qualified home inspectors with unparalleled experience, training, and certifications. Our professionals are ​InterNACHI-Certified Inspectors and are among the best inspectors in the world. Affordability: We provide free services with every home inspection to help keep your costs low. For example, all of our assessments include a free pool inspection, free thermal imaging and building science report. As well as a free energy report, free crawl space inspection and free deck Inspections. Convenience: Home buyers don't have much control over timetables and deadlines. If you need a home inspected, we’ll do all we can to serve you as soon as possible. Call Service: After we have provided you with a home inspection, you may still have some questions regarding your new home. We encourage you to call us (321-270-0096) with your questions based on our findings. Home Inspection Of The Week!!! Beautiful Home in Yalaha, Lake County!! We LOVE What We Do!!! Building Science and Infrared Thermal Imaging with every Inspection! At Orange Blossom Home Inspection LLC, we comply with InterNACHI’s Standards of Practice and Code of Ethics. We also have General liability and E&O insurance. When in doubt of any of our credentials or qualifications, please feel free to ask when you call to schedule an appointment. Don’t take a risk with a decision as important as your future home. Instead, have peace of mind by choosing the most qualified and professional inspection company. To get a free quote or to schedule a home inspection in Central Florida, and surrounding areas. Contact us at (321) 270-0096. Our family at Orange Blossom Home Inspection LLC look forward to serving you. "Innovative Home inspections for Floridians." I Am A Nationally Certified Master Home Inspector!! !